Take a FREE Spin on the Grease Pink Ladies & T Birds Pokies. A wonderful, lively Rydell High musical’s tunes is what you will dance to while playing on the second Grease game, aka “Grease-Pink-Ladies and T Bird Slots” that accompanies two diverse theme screens. Created from the famous film “Grease” which is a satisfying, lively musical with irresistibly appealing melodies and a tribute to youthful affection, this slot features: Young ladies also referred to as Pink-Ladies wearing pink coats and some young men (The T Birds) in Leather coats who adore cars. Like this game – You can also try the Grease Sandy and Danny pokies. The Grease-Pink-Ladies and T Bird free pokies is a 5 reel, 25 pay-line dynamic game created by Daub Games. This game permits the players to choose which pack they need to join before they can begin playing. This is because, the game can be played with one of two themes, and one is allowed to switch subjects whenever they feel like during the game-play. You may either pick the T-Birds or the Pink-Ladies. Symbols found on this game are all identified with the film “Grease” and each of the two subjects has its own symbols. You will discover two wild symbols as the wig and the hair-dryer on reels 5 and 1 in that order. The wild symbol contributes to all symbols with the exception of the scatter symbol and when both wild shows up in the meantime, this dispatches the bonus-round. Amid which you will be given three times three matrices, and you will be required to align three similar symbols in order to multiply your bet or else click “Reveal All”. The quantity of multipliers that you will be granted in this round would vary from 2 times to 32 times. The Wig and the Hair-dryer plus the Lightning and Fire act as the wild symbols for Pink-Ladies and T Bird themes respectively. Whenever both wilds appear simultaneously then a bonus-round is immediately triggered. 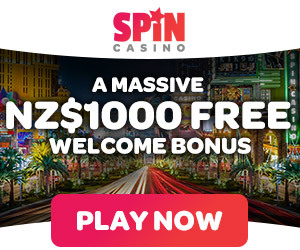 The Pink Ladies/T-Birds free spin feature is activated when you get three, four or five scatter symbols anyplace on reels three, four or five giving you either ten, fifteen or twenty free spins. In this case, the T-Birds Logo acts as the scatter symbol of which after getting three, four or five such symbols triggers ten, fifteen or twenty free spins. The Expanding wild is likewise present in the T-Birds game. This expanding wild symbol turns the reel haphazardly during these free spins substituting for all symbols aside from the scatter symbol. When this happens, you will get the opportunity to see a dancing Danny Zuko. The Pink Ladies/T-Birds Bonus rounds are activated when both Pink-Ladies/T-Birds wilds show up simultaneously. On Pink-Ladies/T-Birds bonus-round, you should coordinate three out of nine symbols to increase your wager up to thirty two times. However, in the T Bird’s round you will be in an auto race where you can likewise win up to thirty two times the sum you bet. Players of this game have 4-progressive jackpots. These jackpots can be triggered in any order during a spin. Matching 4 indistinguishable symbols that cover up various jackpot symbols by tapping on the squares to uncover the jackpot symbols, is one of the set criteria towards winning a jackpot. However the higher you bet, the more noteworthy is your possibility of setting off the jackpot game. The betting range varies from as low as 1c up to $1 which you can choose by tapping on the left or right bolt to lessen or increase your stake sum. You can either choose all; between 1 to 25 pay-lines. Normally the maximum bet boosts your shot of an enormous win. As seen above, this pokies game has great features and it is hard to compare this it with various games, as it is an unprecedented slot game overflowing with appealing components. With two themes to choose from, incredible payouts, and splendid Grease themed bonuses – it makes it the best game-play accessible today! Google + Profile: Tina Lim on June 23, 2015. on October 8, 2016.